Strawberry Moon is 'a rapper's album without the rap'. With a focus on classic hip-hop bass lines, this album was recorded at the foot of Mt. Tsukuba in a traditional stone warehouse. "You and me" recorded live in Tokyo has been included as a bonus track, the only song on the album with lyrics. 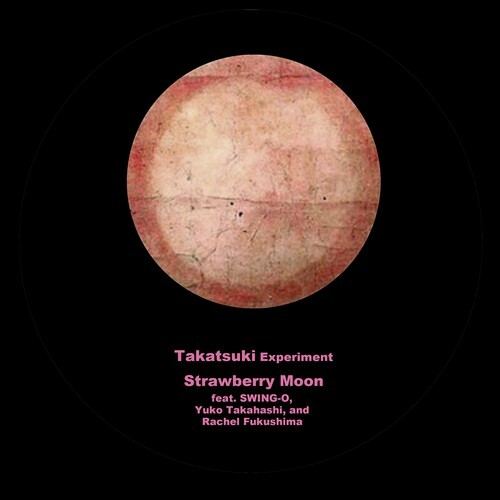 The title ' Strawberry Moon' was inspired when Takatsuki saw a full moon in a strawberry field that triggered memories of " Jingyu-gobou" in Jugyuzu (Ten Ox-Herding Pictures).